Nominations for the 2019 Phelan Award are being accepted through Friday, May 17. The award will be presented at our annual Pro Bono and Public Service Awards Luncheon on July 23, 2019. The Richard J. Phelan Public Service Award honors attorneys who have dedicated a significant portion of their legal career to the public sector, achieved excellence in their work and demonstrated a firm commitment to increasing access to justice for all Chicagoans. This Award is presented by The Chicago Bar Foundation in honor of Richard J. Phelan, a leader who has masterfully blended public service into his legal career. Mr. Phelan, a past President of The Chicago Bar Association, is a retired partner at the law firm of Foley & Lardner and has represented clients in a trial practice that includes products liability, public law, intellectual property and reinsurance for over 40 years. 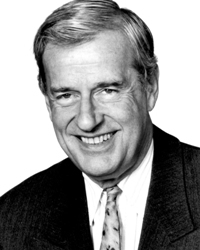 From 1990 to 1994, Mr. Phelan served as president of the Cook County Board of Commissioners where he oversaw the largest unified court system in the country. From 1988 to 1989, he served as special outside counsel to the US House of Representatives Committee on Standards of Official Conduct in the matter of Speaker James C. Wright. In addition, Mr. Phelan has served as chairman of the Upstate Illinois Committee of the American College of Trial Lawyers and dean of the International Academy of Trial Lawyers. An attorney who has dedicated a significant portion of his/her legal career to the public sector and who is currently or formerly employed by a local, state or federal government entity serving the Chicago area will be selected for the award based several factors, including: excellence in the quality of the nominee’s work; leadership and involvement in efforts that improve access to justice; contributions in making the organized bar an effective force for improving the legal profession and helping the overall community; and lack of public recognition for his/her dedicated efforts. The selection committee has a preference for unsung heroes. Established in 2004, this Award allows the recipient to designate a special Chicago Bar Foundation grant to the CBF-supported legal aid or public interest law organization of his or her choice.